80 people are injured every day in a fall at work, that's one every 20 minutes Same-level slips and falls account for 65% of all fall injuries. 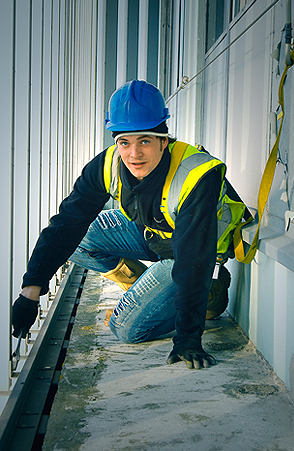 Falls from heights account for 34% of all fall injuries. This course will provide the necessary theoretical knowledge of proper fall prevention. Course materials and certificate provided. 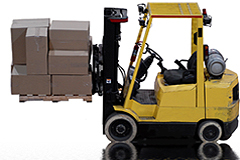 This course will provide the participant with the necessary Practical & Theoretical knowledge of proper lift truck operation. This course will provide participant with the necessary Practical & Theoretical knowledge and of proper aerial work platform operation. It is the first part of a two-part requirement to become a qualified aerial work platform operator. 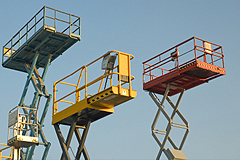 This hands-on training will provide the participant with the proper operation of an aerial work platform.